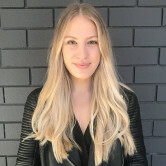 , the world's biggest advertiser, which said on Wednesday that it has halved the number of agencies it works with globally. "We fed the agency beast by hiring thousands of them," P&G chief brand officer Marc Pritchard said at the 4A's Transformation Conference in Los Angeles. “We’ve cut the amount of work we do, but we can go much further by focusing on fewer and better ideas that last longer. We get tired of ads a lot faster than consumers do." 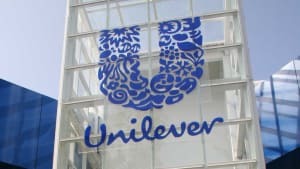 Last month, Unilever announced it would be axing its CMO role completely in Australia, marking the exit of John Broome. Unilever is cutting back on its marketing spend, running 30% fewer ads and reducing the number of consultants it hires by almost 40%. It also plans to reduce the number of creative agencies it employs by about half, according to a report in Bloomberg. Unilever chief financial officer Graeme Pitkethly said the moves were part of a wider cost-cutting drive. As a result, WPP’s stock price has dropped as much as 4.4% since the news - its biggest decline in a month. WPP’s Ogilvy & Mather agency makes ads for Dove, with Unilever contributing to about 3% of the network’s revenue, according to data compiled by Bloomberg. WPP has had a slow start to 2017 and weaker-than-expected growth forecast due to losing the VW and AT&T media accounts to Omnicom. It has fuelled concerns about a broader ad industry slowdown, with Unilever's moves mirroring those of Procter & Gamble, the world's biggest advertiser, which said on Wednesday that it has halved the number of agencies it works with globally.